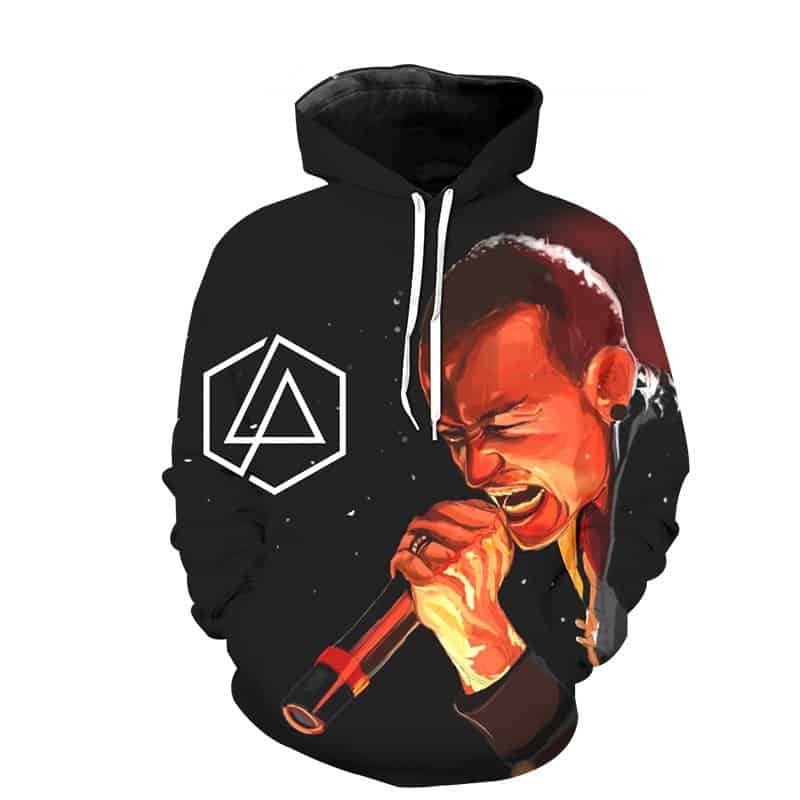 This Chester Bennington Hoodie pays tribute to the lead singer of Linkin Park, Dead By Sunrise and Stone Temple Pilots. A realistic print shows Chester Bennington singing on stage, illuminated with a black back drop. The hoodie is comfortable to wear, looks fashionable and is wearable anywhere. It was designed for both male and female.